Federal Judge Rules Against Corn Processors! Case brought by American sugar farmers against big corn processors to stop their false advertising about high fructose corn syrup (HFCS) must go forward. Um ya think? Does this look like a commercial to you? Of course this constitutes commercial speech and it means a lot of cash for the CRA and its member companies** if they can convince consumers that their re-branding is not a PR effort but in fact, fact. This ruling is a big positive for consumer heath. Since so many consumers do not have the time in their busy, stressed out lives to really research the CRA claims that "corn sugar" is just like cane sugar, this lawsuit may, at least, stop the false advertising that HFCS is actually a natural product and as safe as sugar. You see consumers were starting to get the message that HFCS is harmful to their health and waistline as American consumption of high-fructose corn syrup fell to a 20-year low last year. The CRA has been on a mission to reverse the drop in sales with their re-branding efforts (in what clearly looks to me like false advertising) of HFCS as corn sugar. But consumers are smart, they just need the right information. According to the lawsuit, consumers have increasingly sought to avoid products containing HFCS because of a wide range of health concerns. The lawsuit claims that the CRA has engaged in false advertising about these concerns. As part of this effort the CRA has advertised that HFCS is “corn sugar,” equated it with real sugar and called it natural – none of which is true. While the corn processors have petitioned the U.S. Food and Drug Administration (FDA) for approval to substitute “corn sugar” for “high-fructose corn syrup” on ingredient labels, the sugar-producing plaintiffs assert that the defendants did not even wait for the FDA’s response – which is still pending – before beginning their “corn sugar” re-branding efforts. 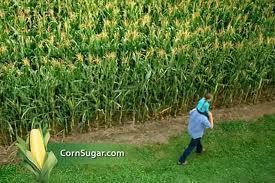 Oh and let's not forget that over 80% of corn grown in the US is now GMO (Genetically Modified Organism). So the odds are that, in addition to being misled by the CRA and ingesting what you think is a safe "corn sugar", you are also ingesting Monsanto's GM toxin Bacillus thuringiensis (Bt). Monsanto has told consumers that GM crops are safe, but a new study by independent Canadian doctors, heightens concern. Genetically modified crops include genes extracted from the bacterial toxin Bacillus thuringiensis (Bt) to make them resistant to pest attacks. These genes make crops toxic to pests but Monsanto claims that they to pose no danger to the environment and human health. The study points in a different direction. Please also remember that beets are a big GM crop with over 95% being GMO. 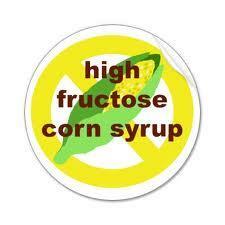 Use sugar sparingly and try to insure that you are only ingesting organic cane sugar. It really comes down to consumers being given the proper information to make decisions on what foods they will eat that will ultimately impact their health and the health of our world tomorrow. Judge Marshall's ruling is a step in the right direction for consumers. Hopefully soon, the entire ridiculous "corn sugar" re-branding will be nixed and replaced with truth in advertising about what HFCS really is, what it isn't and how it contributes to consumer ill health from liver damage and altered metabolism to gastrointestinal distress and obesity. Let me know if you would like to see a copy of the complaint or Judge Marshall's orders.